Included are seminal stories like "To Room Nineteen", in which a woman reacts against the oppression of her banal marriage with dreadful results; "One off the Short List", which traces the surprising conclusion to a seduction gone awry; and "The Habit of Loving" in which a lonely older man who takes a vivacious young wife witnesses an unexpected reversal of intimacy. Here also are two classic novellas, "The Temptation of Jack Orkney" and "The Other Woman", exemplifying Lessing's impressive understanding of human psychology. Rich and various in mood and background - the settings range across England and France - these stories powerfully convey the uncompromising insight, intelligence and vision of one of the most ardently admired writers of our time. One of fiction’s great polymaths, over a prolific career Doris Lessing took on memoir, post-modern fiction, poetry, libretto and science fiction and produced work of dazzling fearlessness. Debuting in 1950 with The Grass is Singing, Lessing’s work was often a reflection of her own political belief and experience, whether via her hugely personal masterwork The Golden Notebook or the Sufi-inspired science fiction of her Canopus in Argos: Archives. 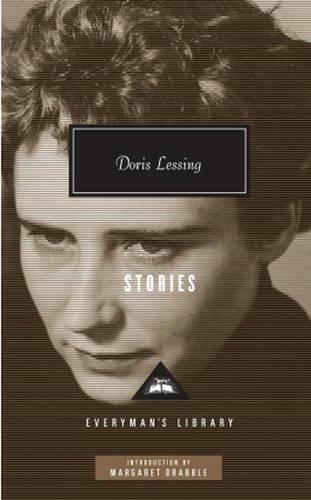 Amongst her many literary achievements, in 2007 Doris Lessing was awarded the Nobel Prize in Literature.